If you live in central Singapore (or even if you don't), your balcony is more than likely one of the only outdoor spaces where you can enjoy a fresh breeze and a little natural air. But how can you create a space that is ideal for rest, relaxation as well as entertaining and socialising? Depending on the size of your outdoor area there are numerous different options and designs that will ensure your space is stylish and usable. One of our all-time favourite designs, this impressive space is replete with every piece of furniture one might require for sumptuous outdoor living. 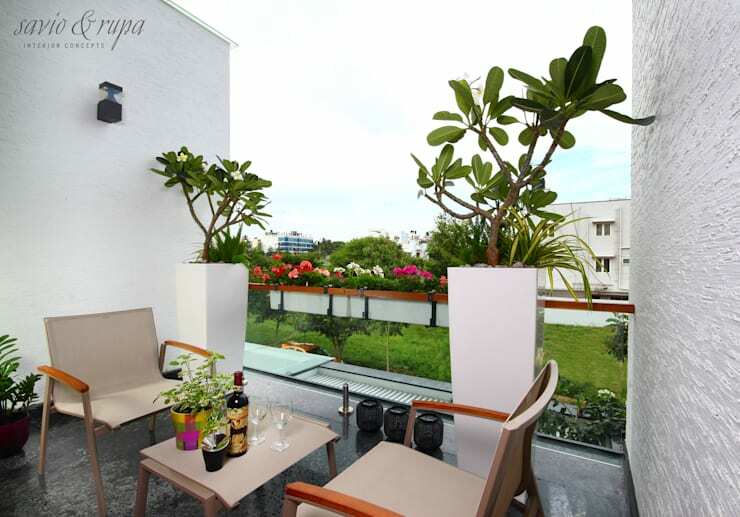 Boasting a kitchen, dining room and lounge, this is an unforgettable balcony, and the height of sophistication. Those with compact balconies will love this wonderful piece of furniture from NIMIO. 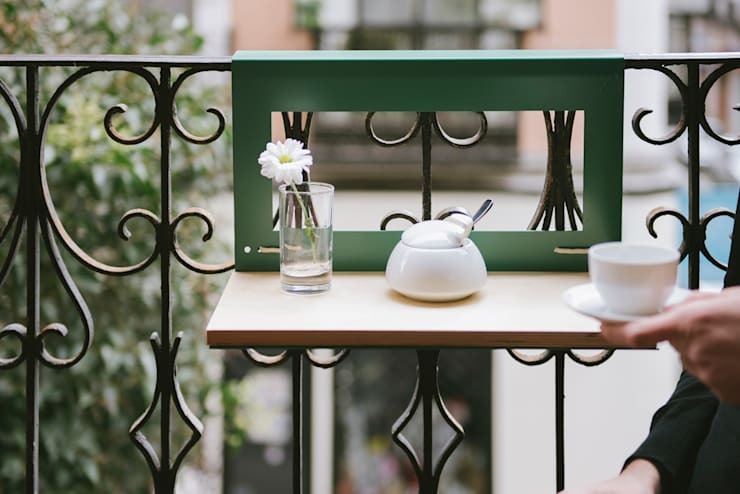 Designed to latch onto a balcony railing, this will revolutionise your small space, while providing essential surfaces and furniture. Get ready for the weekend with a fabulous DIY project that will see you making yourself some repurposed furniture. Whether you are a beginner or an advanced DIYer, there are plenty of ideas that will enhance your outdoor space. Sometimes you simply cannot look past the balcony essentials. Sophisticated, easy and wonderfully versatile, a comfy set of chairs and a small coffee table is the ideal solution to any balcony size, shape or setting. 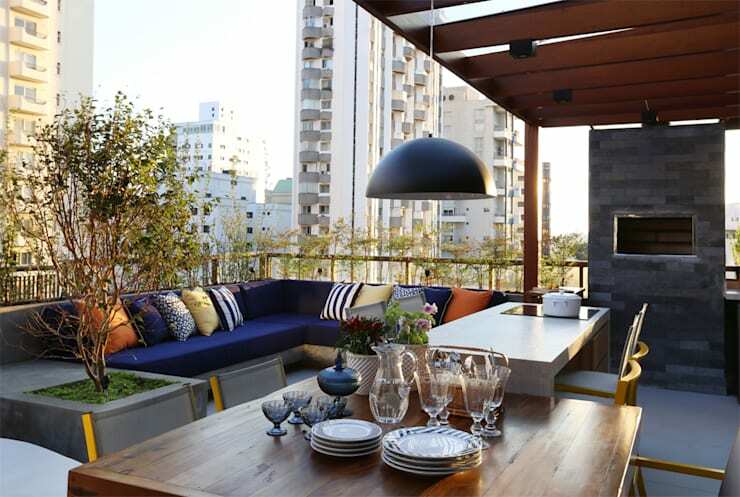 For something a little more extravagant; if you're able to install a bar into your balcony space, you'll be rewarded with a wonderful area to spend warm afternoons, as well as (more than likely) making a few more neighbourly friends. 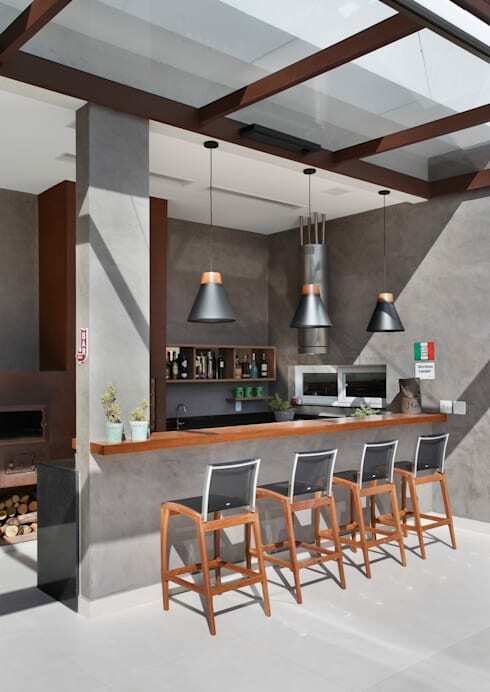 If, however, your space is compact, look for a bar trolley that you can utilise both indoors and outdoors. Plants will really transform a balcony space from dull and dreary into an area that is inviting and welcoming. Don't limit yourself; go to town with the greenery and watch your space come to life! 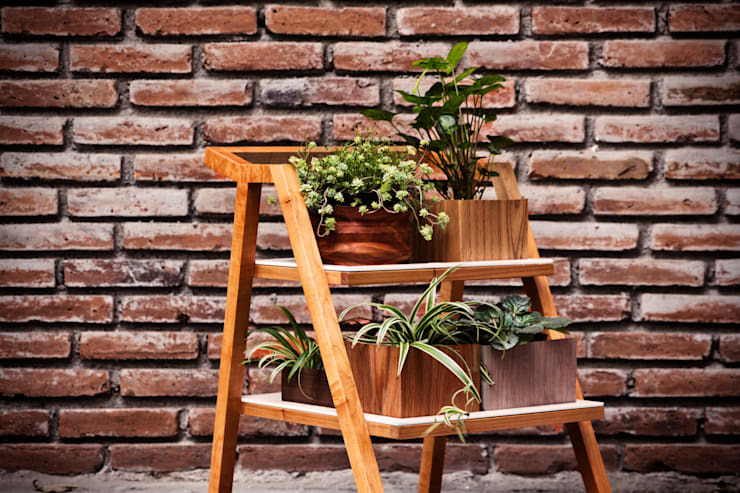 If you are lacking space to keep your planters, check out neat pieces of furniture such as the one in the example here, which will provide additional surfaces for your pots. 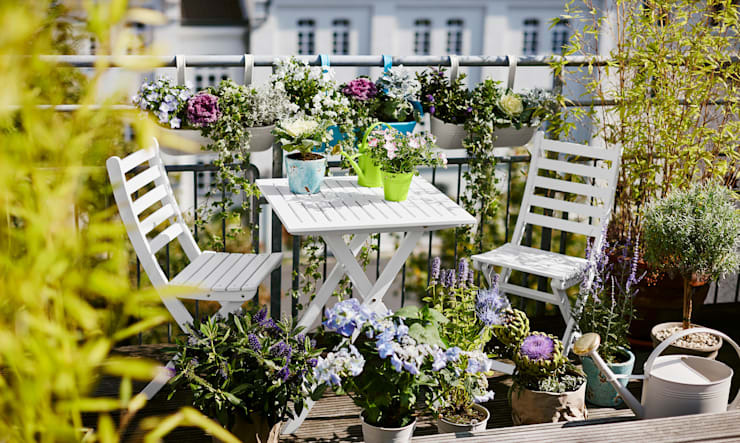 For something classical, traditional and totally timeless, check out this impressive flower-filled balcony space. Replete with plenty of planters and a neat white timber table and two chairs, this is sure to offer an effortless and age-defiant option for your home. When buying furniture, go for the essentials. Depending on your space this might include a deck chair for sun lounging, a dining table for al fresco eating, or perhaps a sun-brella for staying out of the harsh daytime rays. Look at your area, and choose pieces accordingly. We love this neat and well-considered design which incorporates both a set of banana loungers, and a small dining space. 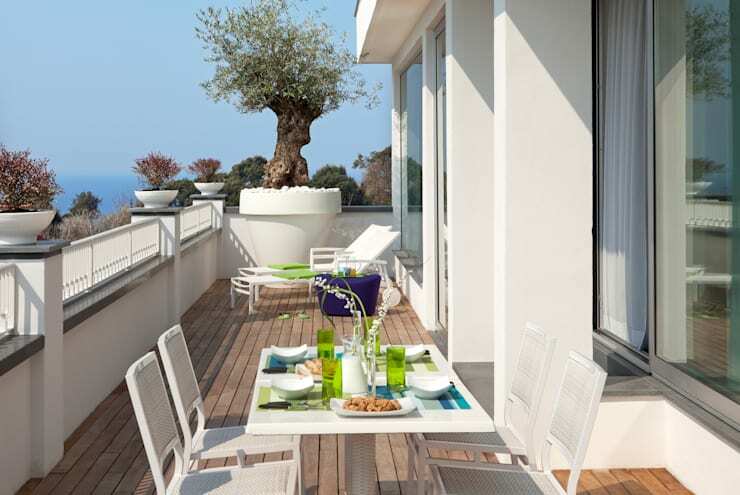 If you fancy spending a large portion of time outdoors and on your balcony, ensure you do so in style and comfort. Look for bean sofas and other weatherproof seats that will be as perfect for socialising as they are for napping. 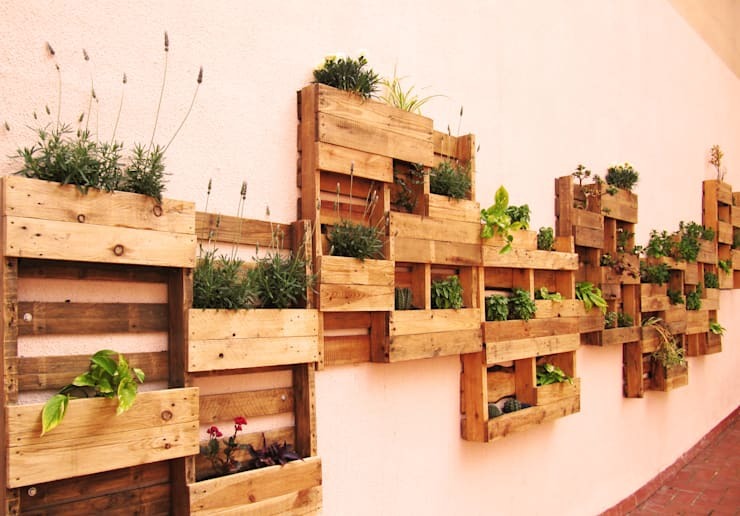 Create mood, ambience and a sense of the organic environment by repurposing pallets to create a green wall. This is ideal for planting herbs, spices as well as colourful and lively blooms. Finally, we are taking a look at a colourful and vibrant set of outdoor furniture from Betoniu. 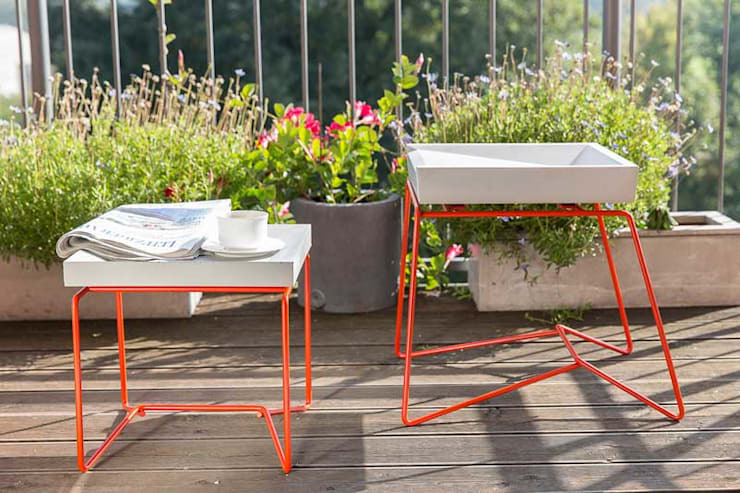 Compact, stylish, contemporary and oozing chic flair, these pieces are sure to brighten and enhance your balcony. If you need assistance in designing your outdoor area, as well as any other domestic space, chat to one of our professionals via the homify website today! Do you have any decorating tips for our homify readers? We'd love to hear from you in the comments below!